clothes” after my first pregnancy, so I assumed the same thing would happen after my second pregnancy. This time things were quite different. I was 8 sizes larger and it was the first time I felt panic over my size and the thoughts of losing weight. I quickly looked for a solution to “fix my problem” and began dieting. I didn’t know what else to do. Through the many years of dieting, I tried many solutions. I thought the answer was to “fix the food”, to change the amounts that I was eating or to stay away from the “bad” foods and eat the “good” foods. At the time, I had no idea what was happening in my heart or what focusing on the food would cost me. Food became something to judge or control. Eat this, don’t eat that, this food is good or bad, it’s healthy or not, give the food a number, count calories and so much more. It just fed into my need to control. I ended up not trusting myself with food or food choices. Following a set of rules or making the food “behave” lead me into a place of spiritual pride or spiritual shame. I loved God for so many years and my desire was to please Him. I thought that I needed to do things “right” to earn His approval. I would feel such shame when I could not consistently eat “right”. Later, I realized that I misunderstood God’s character. God doesn’t approves of me because of MY character or actions. He’s already approved of me because of HIS character and actions. He loves me unconditionally. It’s a gift, and there’s nothing I could do to earn or deserve it. He won’t love me anymore or any less if I lose or gain weight. God is not mad at me! God does not NEED for ME to change in order to love me unconditionally. For so many years, I misunderstood my struggle with food or weight and what I needed to do to change or what would be helpful. I came to a place in my life that I just knew there had to be something different. I admitted that what I had tried wasn’t working for me long term and I needed help. I needed God’s help and help from people who really understand how to help me address what is in my heart, rather than focus on my behavior or actions. For years, talking about my weight or food choices was “off limits” unless I brought it up by talking about my latest diet or what I was doing to fix the food. It was very healing to begin to talk about what I was thinking and feeling while I was making changes. It was important to talk to someone who would not try to “fix” me or give me a solution or “formula”. I never would have believed it, but my struggle with food has become a precious treasure to me. God has used my journey toward healing to draw me closer to Him and to grow personally and spiritually in a way that I would have missed without the struggle. 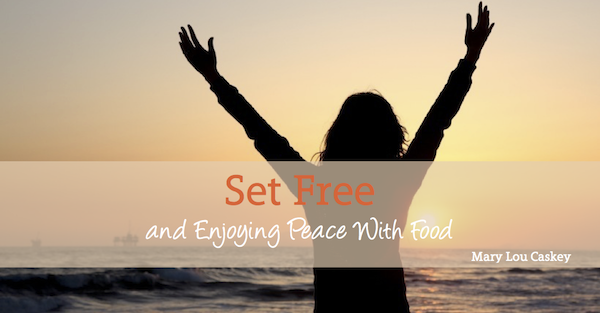 If someone would have told me years ago that I would be enjoying peace with food, I would never have believed it! I am no longer obsessed with food. In fact, I barely notice food unless I am enjoying it while I am eating it. Food no longer calls my name. In the past,I would lose and gain weight MANY times! Each time I would regain the weight, I believed that I had lost my “willpower.” I was believing a lie. Willpower is highly overrated! It’s often misunderstood. There are so many other things that are so much more effective. My changes on the outside are dramatic. I can even fit into one leg of shorts that used to be tight on me. Before, I never kept the weight off for more than a short time, now it has been years. The changes within me are so much more dramatic and mean so much more to me. It is truly amazing how God took my struggle and has given me the opportunity to make a difference in the lives of others. I furthered my education and became a certified life coach. It is such an honor and a privilege to be passionate and enjoy what I am doing! There is hope for you! With God all things are possible. I can’t believe that I get to live this life now! 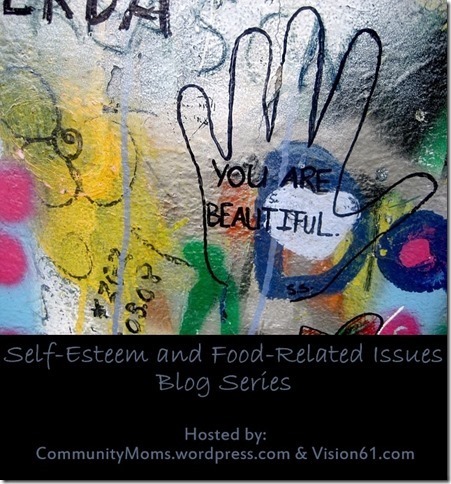 I am so glad that I took the effort to pursue healing with my struggle with food. There’s hope for you! Today, go to God for help and get the help of others! It’s worth it. You are worth it! 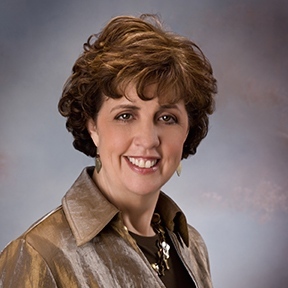 About the Author: Mary Lou Caskey helps Christians to enjoy peace with food without dieting. She is a speaker, author and certified life coach who lives in the Orlando area with her husband Keith. ← God Calm My Anxious Heart. Blog Series with Lisa and Friends! Thank you for giving us a look into the life of the struggle and the victory. I appreciate that you shared it was only acceptable to share the struggle if you talked about what you were doing to “fix” the problem. When we struggle with weight, we almost live in a mindset of “apology to the world” that we take up more space than they approve. I have also struggled with food and its power. Day by day, the voice of food becomes smaller and smaller, as I walk in the love and grace of God. Donna, thank you for your kind works and for how well you described the challenges. That is beautiful! Lisa, thank you for this opportunity to share my story.